Reliance Jio 4G volte feature phone has been announced by Mukesh Ambani at the company’s Annual General Meeting on 21 July 2017. The handset introduced as ‘India ka Smartphone’ and it launched at an effective price of rupees 0 (buyers will have to shell out a refundable, security deposit of rupees 1500 for the feature phone). 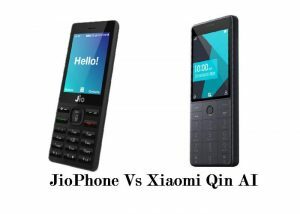 JioPhone runs on Kai OS which is a forked version of Mozilla, where as Qin AI is powered by forked Android OS called Mocor 5. Xiaomi has launched a new feature phone and that will start shipping from September 15. Xiaomi Qin AI powered by Google’s Android on its crowd funding platform in China. The Qin AI feature phone comes with 256MB, which is approximately rupees 2000 in India. 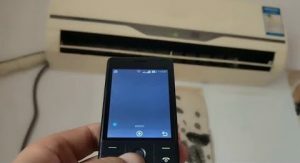 JioPhone comes with a 2MP camera on the back and a VGA sensor on the front. The Qin AI has no camera. Instead, it comes with IR blaster using which you can control your home gadgets like AC and television.